In St. Louis' Tower Grove South neighborhood, just south and west of downtown, sits Civil Life Brewing. It's positioned in that unique transition of warehouse-industrial into residential tree-lined street. Upon pulling up, the beige-walled brewery presents modestly–apart from its simple beer garden out front and an arched iron 'CIVIL LIFE' sign. It has fairly 'quiet' curb appeal, which, after a weekend full of drinking made for a rather welcoming Sunday morning visit. 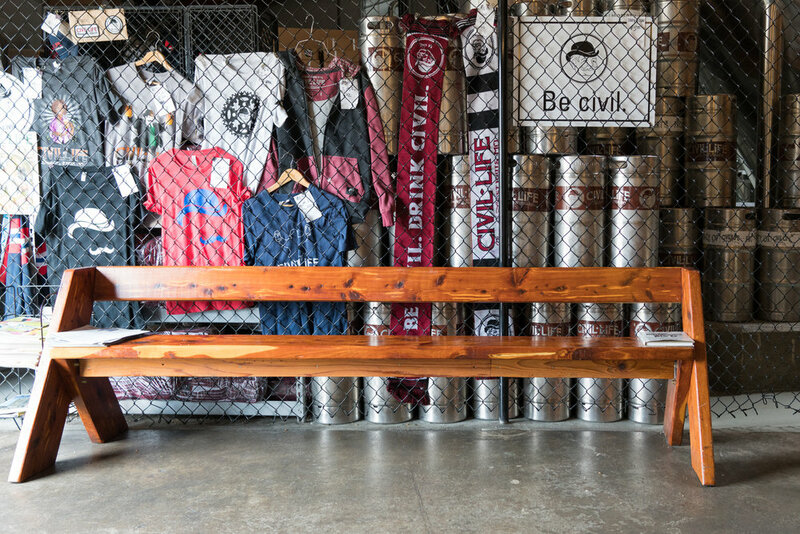 And once you step inside, Civil Life's taproom emanates coziness–plenty of wood tones, warm lighting and cozy communal tables that flank a room-long bar. 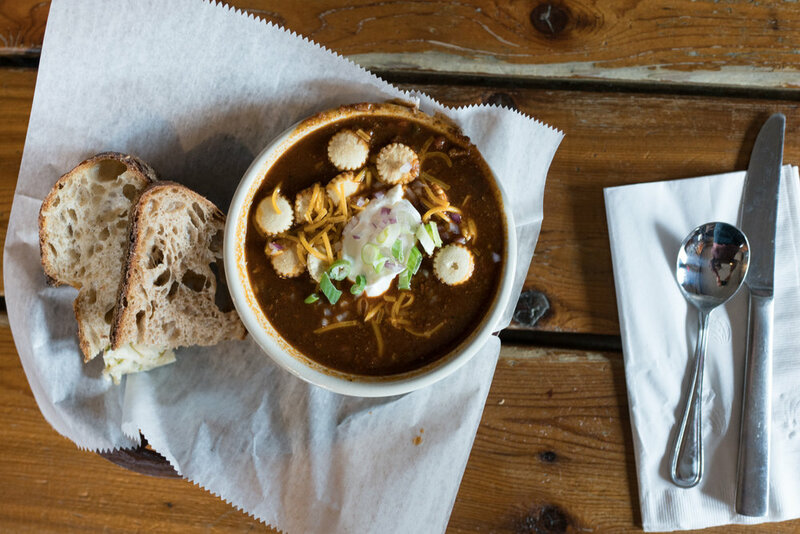 We met with founder Jake Hafner, who wasted no time setting us up with samples of their English and German-inspired beer menu (to pair with our hearty bowl of brunch chili), and give us a little insight on the brewery's traditional approach and their place within the St. Louis scene. "We focus on English, German and American styles that are typically under 5 or 5.5%. We were joking our tagline should be, 'Beers you can drink.' It really simplifies what we do. 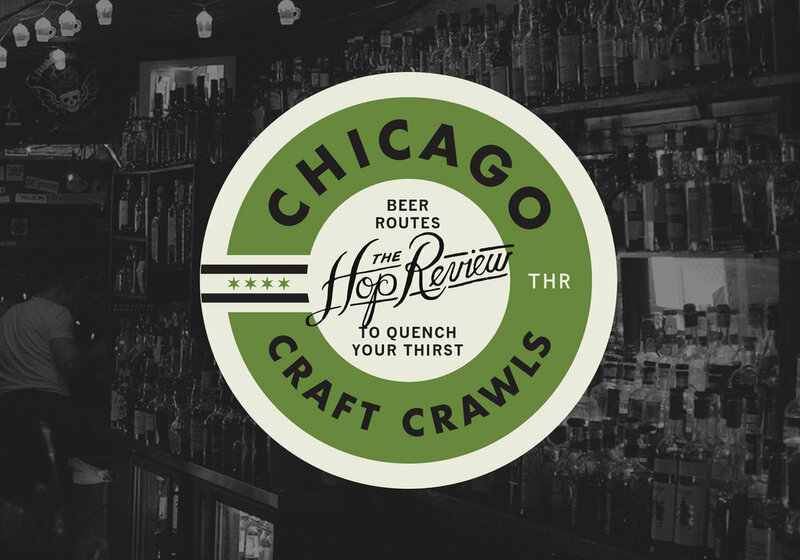 We're really looking for flavorful malt-driven beers. Obviously we use hops in everything, but we would like some nice balance." 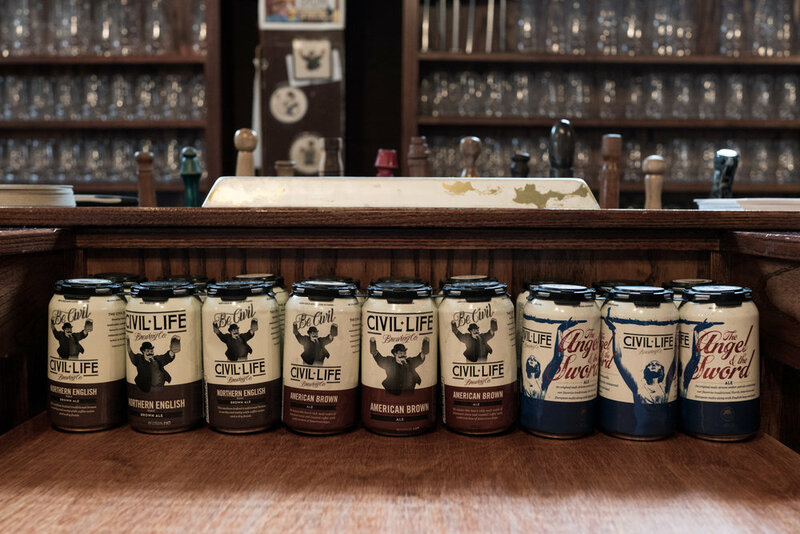 Asked about the beer scene in St. Louis at the time Civil Life opened in 2011, Hafner explains the welcoming community and 'big year' for the city. "We opened in September 2011–Urban Chestnut was the first one to open that year... Perennial and us opened up on the same day. And then Four Hands opened up in December 2011. Yeah, it was a big year for beer here. Schlafly had been around for a bit already at that point, and they were exceptionally welcoming to all of us and really kind of set the tone for a lot of the camaraderie that's in the beer industry now in St. Louis." 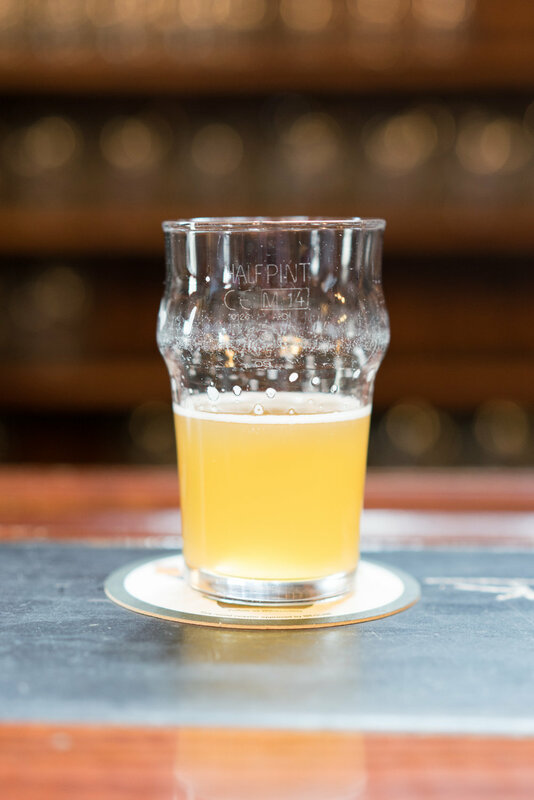 And whether it's among a handful of small breweries in Tucson or a pair of neighboring taprooms in London, Hafner's explanation of the welcoming nature of St. Louis' beer industry is a common thread that we've noticed everywhere we've traveled. And Jake & the Civil Life's hospitality only continued to prove that sentiment to us. And for that, we're thankful no doubt. German Wheat – A 5.1% easy drinker that proved a welcome Sunday morning break from a weekend full of big stouts and dense IPAs. It was a classic hefeweizen with a hefty dose of graininess, and what we learned to be Civil Life's trademark malt-forwardness balanced out by Noble hops. The German Wheat was banana-y, clove-y and bubblegummy which proved a welcome refreshment to our warm morning bowl of chili. You know, there’s a reason why people have been drinking this way for hundreds of years. Malt driven beers have kind of laid the groundwork for what’s happened now, with this explosion of flavor. The IPA is still a massive category–and still for us, too–we have just one IPA on the menu and it sells a lot. I still think there’s a lot of room for malt driven sessionable ales to grow a lot as a category. Americans like rich, full-flavored things. But I think there’s room for when they start moving past that, and are looking for something more balanced as well. Authored by Jack Muldowney of The Hop Review. Check out the rest of DETOURS series as we travel the world looking for unique beers and where to drink them.